Researchers from the anti-virus vendor BitDefender have come across an innovative piece of malware that hides itself and functions as a Firefox extension. The malicious add-on is a trojan that monitors user activity on numerous banking sites and steals the login credentials. A new XML based heap corruption exploit has been published on milwOrm, the exploit affects all versions of IE, tested for IE 6.x, IE 7.x, XP SP2, XP SP3 and Vista which endangers your safety if you use Internet Exploiter for browsing. The exploit allows someone remotely to download/execute anything on your machine. Kaspersky Antivirus is able to detect and block the execution of the exploit, however, this might not be true if the exploit was hardcoded. Play safe. an inside look on the exploit has been written by my brother DATA_SNIPER on his blog, click H E R E to read about it. I have added an interesting portal for learning that contains some simple definitions of networking terms such as IGMP, TCP, Muliplexing, EIGRP, etc… among other computer related definitions. I find it very useful because it’s straight forward information. You can find the link under “Links” section to the right, “InetDaemon”. Enjoy. This online book describes the fundamentals of TCP/IP in Windows Vista, Windows Server 2008, Windows XP, and Windows Server 2003. 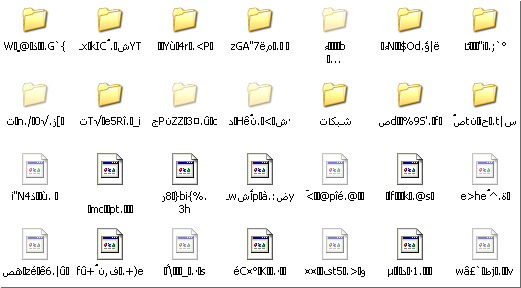 Previously posted a topic asking for help on Arabteam2000 forums on some corrupted hard drive partition that went crazy on me and started displaying nonsense for file names and folders in it but got no response.